by means of air film resulting from rotation. 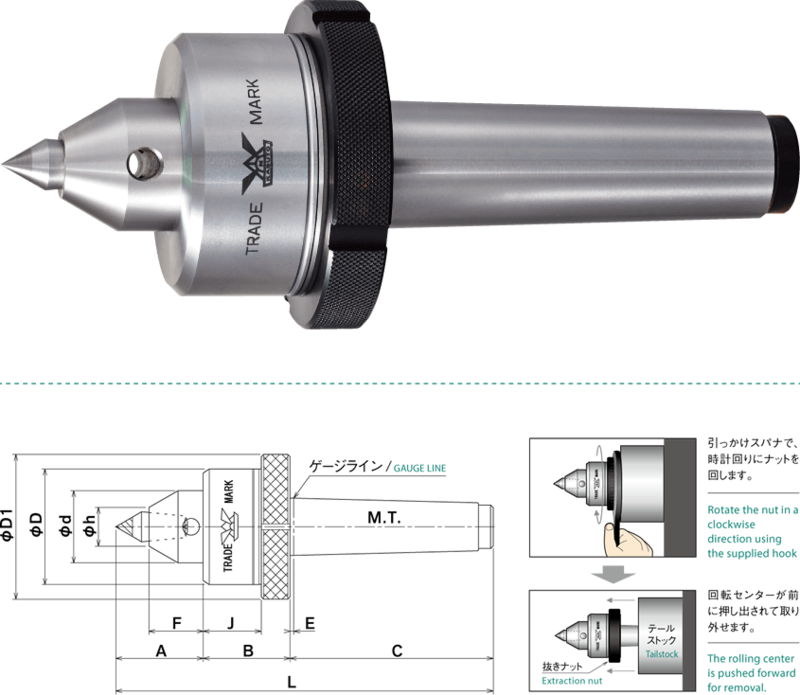 for fine machining or light metal working. Type KFN has the same waterproof structure as that of type KFL. 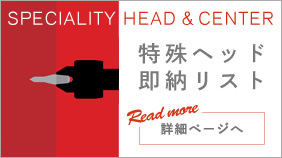 (while KFN-5 comes with the carbide center head 5A60° and DHN-2). 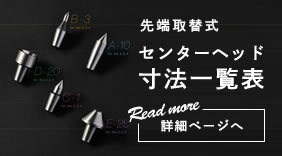 *For KFN-A, B, please choose steel (tempered product) or with carbide.